Within the protected lands of the Cape Cod National Seashore, in the small salt-box cottage we rent each summer, you step outside into a place that is simply itself. Chickadees cross above you, wind makes paths through crowns of oak and beech. The cottage—in the hold of scrub pine and sea wind—owes no small debt to writer and naturalist Henry Beston, whose magnificent book The Outermost House was one of the influences that inspired President John F. Kennedy to establish the National Seashore in 1961. Beston built his dune shack on the barrier beach at Eastham, back to the marsh, front porch opening on the Atlantic. The Outermost House chronicles the year he spent living on Cape Cod’s outer beach. His lyrical prose, naturalist’s eye, and faith in the restorative powers of the natural world for humankind mark him as a literary descendant of Ralph Waldo Emerson and Henry David Thoreau. Rachel Carson credits Beston as the only author who ever influenced her work. Restless, brooding, and exuberant, Beston strides across the pages of Daniel Payne’s scrupulously researched new biography, Orion on the Dunes. Payne’s title alludes to the last chapter of The Outermost House, to one of those nights when Beston abandoned his bed and, carrying his blankets over his shoulders sailor-style, found a place to sleep in the dunes. He woke to see in the “east, two great stars aslant. . . rising clear of the exhalations of darkness gathered at the rim of night and ocean—Betelgeuse and Bellatrix, the shoulders of Orion.” Payne does more than trace the arc of Beston’s life; he orients it over the course of two World Wars, the rapid expansion of the industrial revolution, and humankind’s growing alienation from nature. In Orion on the Dunes, Payne gives us a sense of the historical forces and life events that shaped the man and drove the work. History is nearly always the sobering shadow from which the pastoral vision rises. Like Hemingway and Dos Passos, Beston drove an ambulance in France in World War I The Great War “exacerbated his sense that there was something fundamentally wrong with modern industrial civilization and its effect on the human spirit.” Thereafter, Beston wrote fairytales for children in an attempt to purge the war from his mind. But it wasn’t enough. The darkness of wartime memories so vividly portrayed in A Volunteer Poilu (1916)—roads stanched with blood and muck, a horse’s skull sailing overhead after an anti-aircraft attack—gave way to the simple beauties and austerities of life at the Fo’castle. The fortnight ending, I lingered on, and as the year lengthened into autumn, the beauty and mystery of this earth and outer sea so possessed and held me that I could not go. The world to-day is sick to its thin blood for lack of elemental things, for fire before the hands, for water welling from the earth, for air, for the dear earth itself underfoot. Beston found his cure in the days he lived on the beach. With a description befitting The Georgics, Payne explains “this was a landscape of primal beauty—‘the moon revealing the black edge of the world—light on the sea below it. The swan, the quail, foxes and crows’—but it was also a landscape with human inhabitants, living, working, telling stories.” The coastguards at Nauset—just two miles down the beach—were his only neighbors, yet he hardly lived the reclusive existence Sylvia Plath implies in “The Hermit at the Outermost House.” Beston relished the friendship of coastguardsmen who regularly stopped by the Fo’castle on their nightly patrols. Cold again and praise God for that for the road was, as the fat boy who brought the hay said, “a caution.” It was April all over, but a sudden and not-quite-ready-for it April; and the road, or rather the geographical delimitations of a road, was a long course of appalling muck in whose deeper gulfs, I distinctly saw the roofs of China. . .
Beston’s capacity for storytelling is evident; we might not be surprised if the letter nimbly morphed into a bedtime tale for his young girls, Meg and Kate. 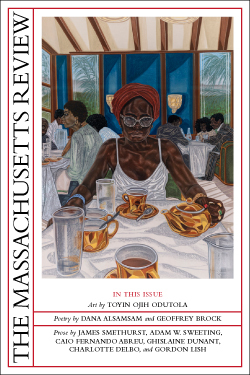 About the book that Beston was meant to be writing on the inner cape Elizabeth explained, he “refused to write a minor book about the country of which he had written what he was sure was a classic, and so tore up all he had begun." Another jewel of Payne’s biography is the discovery of the book Beston described as “part garden book, part musing study of our relationship to Nature.” Herbs and Earth (1935)—like The Outermost House—began just beyond Beston’s open door. In spring of 1934, he put in an herb garden flush with the eastside of the house at Chimney Farm. Beston remarked “it is a pleasant and Virgilian place much loved of the birds.” Like the Georgics, the book is part tutorial—what to plant and where, whether to start by seed or seedling—and part encomium for a particular way of living. Beston’s descriptions urge us to pay attention, to note the flux of light and shade on the surface of lemon balm, to savor that time of day when “the heat of some long summer day has followed the sun behind the pasture hill, when the glare has gone and the hour of the garden hose and the watering pot approaches with dusk.” If The Outermost House is his great book of the sea replete with the sound of the surf changing through the seasons, Herbs and Earth is the quotidian book of home, a book of seeing, mysteries, and well being. With horses boarded in the barn and fields let out to neighbors for haying, Chimney Farm retained the feel of a working farm. 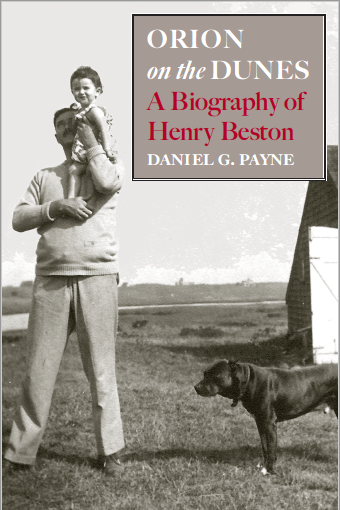 Payne’s well-crafted narrative reveals that life in Maine suited Beston far better than their former home in Hingham. Even as a child sailing catboats in the Quincy harbor, the suburban wild was too tame for him. Northern Farm (1948) began as a series of country-living columns, and while the writing is not as consistent as in the other books, it’s a worthy record of the seasons. Northern Farm is to be admired for its agricultural rhythms, the feel of days lived in a small-time community where something as simple as a lantern in the window signals a safe arrival home. Earlier in the summer while I sat on the great beach rereading The Outermost House, I marveled at how close writing can come to living. Like a tutorial for the ear, Beston’s orchestral rhythms mimic the gravelly intake and spilling outrush of each changing wave. His great book of the sea sweeps us into “the vast bright days” where spring flights of warblers morph into “a fugitive Pleiades whose living stars keep their chance positions.” Back from the Cape, it’s Beston’s Herbs and Earth that I carry with me. The dreaming is closer to home. Now more than ever, the notion of digging a garden and re-connecting with the natural world—with a balance we may fear we’ve lost—feels both possible and necessary. CATHERINE STAPLES is the author of The Rattling Window which won The McGovern Prize and Never a Note Forfeit. Her poetry and reviews have appeared in Poetry, The Gettysburg Review, Kenyon Review Online, Rattle, Prairie Schooner, and others. Honors include a Dakin Fellowship from the Sewanee Writer’s Conference, the New England Poetry Club’s Daniel Varjouan Award, and Southern Poetry Review’s Guy Owen Prize. She teaches in the English and Honors programs at Villanova University.